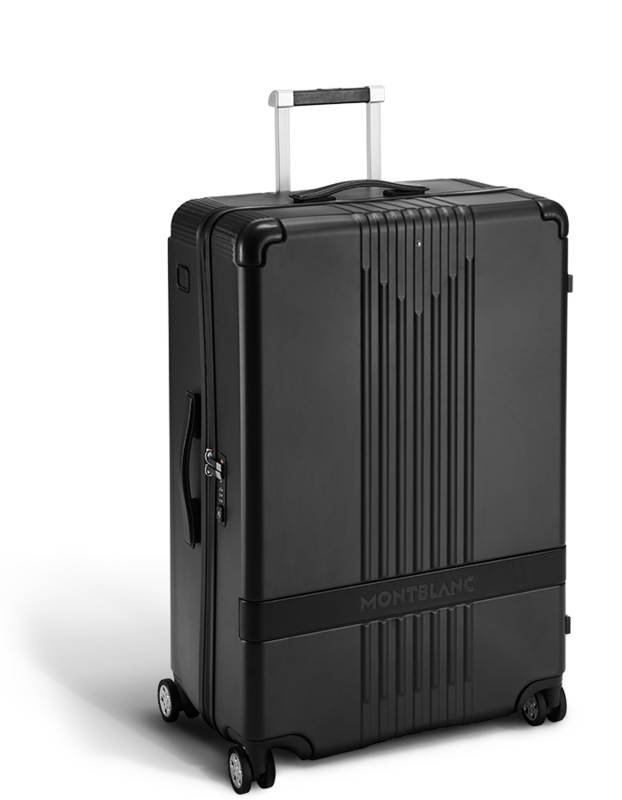 Although luxury accessory brand Montblanc is typically associated with crafting high-end, limited-edition pens, the German brand recently branched out into travel accessories with their premiere #MY4810 Trolley Collection. Their first foray into luggage has resulted in a series design that looks urbane and downright bulletproof. The five pieces are all perfect for the sophisticate afflicted with chronic wanderlust. 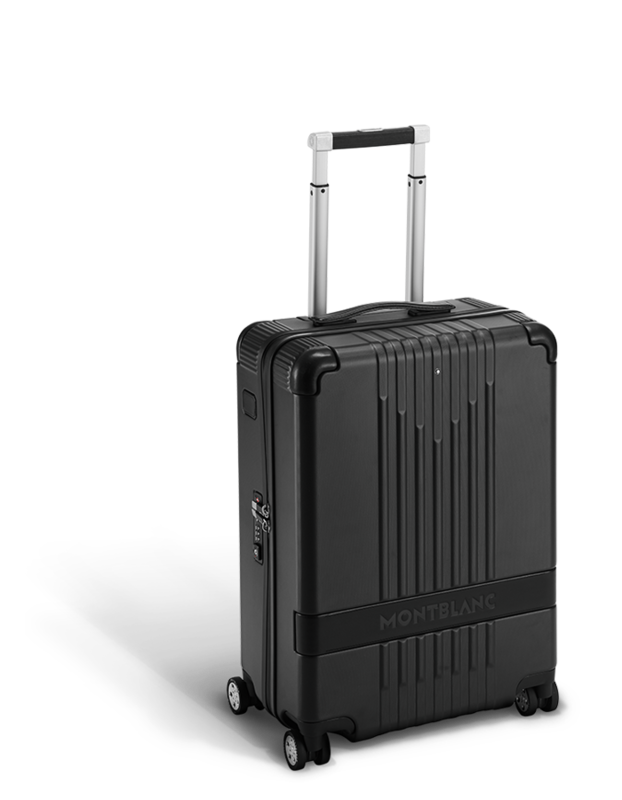 The trolley-style suitcases are available in size configurations that will appeal to weekend warriors and business trippers to long-term travelers. The line consists of a small pilot case, two carry-on sized suitcases, and two large trolley cases. Each piece is delicately crafted with a black polycarbonate shell, and finished with leather handles and nylon lining. Japanese-made wheels offer 360-degree rotation as well. The practical element will no doubt appeal to the accidental tourist with a taste for the extravagant. Customers may order customized luggage tags from Montblanc to guarantee there isn’t any confusion at baggage claim…and to enhance that inimitable Montblanc sense of style.